been spoiled with good weather year round. Where I live now, Fall is actually the best time of the year. our little piece of heaven a lot more. with amazing weather...I am guilty of neglect. I just keep telling myself I like that natural overgrown look...but NO MORE! 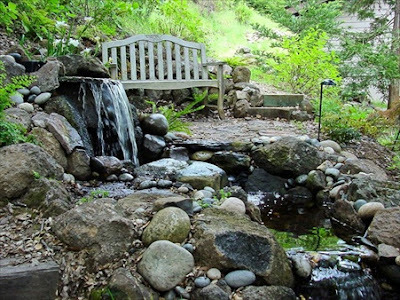 I was already anxious to begin the process of transforming our backyard and deck into our personal oasis, and then I was presented with the unique opportunity to interview Garden Designer and HGTV.com contributor Dan Berger. 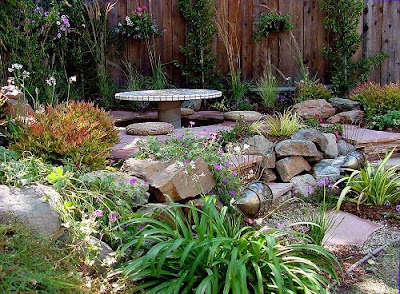 Dan's unique and creative approach to garden design has landed him appearances on over 25 episodes of HGTV's "Landscape Smart." He has also worked with This Old House and been featured in Sunset Magazine, in addition to numerous features in newspapers and other publications. 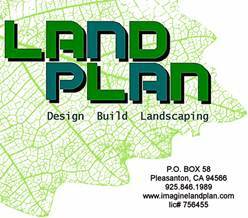 Dan, a fellow Californian, is the owner of LandPlan Landscaping. After chatting with Dan, I am even more inspired to get my own plans in action. He has some great advice for everyone because no matter where you live there are steps you can take to enjoy the great outdoors this Fall - in any way you choose, from gardening to reading under a canopy to relaxing in a hammock - you can create a personal oasis. The questions I asked Dan were definitely inspired my my own "issues," BUT they can help us all! Dan was great and so full of information. We covered everything from some very basic plant do's to creating a fabulous space in your own yard...or deck...or patio. and inviting not only to you but to your guests. "It is about the people not the money." Oh yeah, and enjoy the GORGEOUS photos of Dan's work along the way! WHY CREATE A FALL OASIS? An outdoor room or oasis is special. It connects you and your guests with nature and each other. 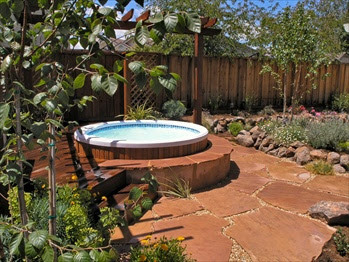 As you create your space use natural elements - gorgeous cedar, water features, etc. to facilitate that connection to nature. Make your space inviting and people will be drawn outside and you will create a sense of camaraderie. 1. Create a space for you...for something you enjoy all the time. If you read, create a magical place to read, if you knit, do the same...if sitting and listening to the birds or the waves crashing helps you relax after a long day...if hosting dinner parties al fresco is your forte...do it - make the space work for that and your life. 2. 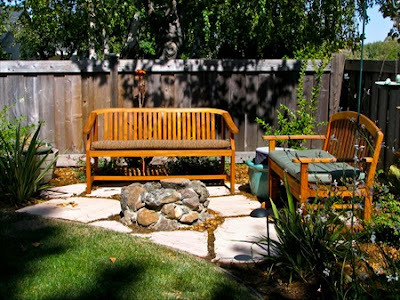 Find and determine a good spot in your yard/deck/patio...then decide what it needs...a fire pit, a covering, "walls" for privacy, etc. 3. Start small and let it grow. You do not have to tackle the entire project all at once, especially if it is a major transformation. If you do, the whole process can be overwhelming and an oasis should bring joy...not stress. 4. Decide on the type of space you want: Is it for the kids (if you can call that an oasis! ), is it for entertaining, is it a private space for you (or you and your spouse to relax)...for you to paint or create? Once you make the distinction of the type of space you are trying to create, your plans and the space will come together. 5. Define the function of the space and determine how it relates to what is happening inside the house. Select a spot that has a relationship to that. Think of the outdoor area as a room - an extension of the home, but don't forget about practicality. If your entertaining space is 200 yards from your kitchen, will it make a lot of sense (or be easy/practical) to serve a meal there regularly. It does not mean you can't but maybe it make more sense to serve lighter fare (coffee/cocoa and pastries or mulled wine and cheese) in the space. For this season, as the air begins to chill, comfort is key...and that means warmth is essential. If you are cold or uncomfortable you will be distracted and not enjoying the space you create. Warmth can come in a simple form...a cozy blanket or comforter or it can be a beautiful fireplace or even a portable fire pit. Support that feeling of warmth with the food and drink you serve as well as the colors, music, and decor you add to it. In colder weather, you may need to consider some type of an enclosed structure to protect yourself from the harsh weather and temperatures. At first it may seem a little "much" but when you think about the peace and joy that space can bring you it may be well worth it in the end. Additionally, you may be thinking there is no way my guests are going outside...it's cold. Entice them...draw them out there. Create a space so inviting and magical they simply cannot resist. They can't help but venture outdoors to explore your oasis...and then they may not even want to leave! If you are thinking what I was thinking...here's your answer. I am a mom...I have a play house a play structure..most of my outdoor area is for the kids...BUT I should be able to claim a space for myself. As a mom (or dad) we need a spot for us...stake your claim. Think about what you do and who you are and use that to inject personality into your space. Dan emphasized, ""Whatever you can do inside to distinguish and differentiate your space you can do outside." For example one photographer created a wall..and in essence it was a gallery wall. He blew up some of his photos and hung them outside. It was beautiful, enticing, and he could easily change out the art when he wanted. What a unique way to display art and bring yourself into your space. If you practice a particular craft, such as beading or pottery, decorate the outdoors with your work. If you are not a "creative" person, add a collection to the space - bring your milk glass collection outside for awhile. Create a nook to show off your tea pots and serve up some fancy teas! Create vignettes to showcase pieces that are so very you and make your space an extension of that. If you are a cook/baker/chef - whip up your special cookies and make your signature coffee beverage and serve it in the oasis. An amazing afternoon treat. Little things like this will bring your energy and personality into the space and guest will feel the warmth...and they will know it is yours. My first thoughts when we scheduled this interview was to grill Dan on plants. (This may not be my strong point) So, for those of us with a black or brown thumb, I had to ask what type of plantings we should be looking for. Here are some GREAT tips. Dan suggests to look for low maintenance plants. The trick to is get them established, but once you do that, you will have success. Be sure to also make sure you purchase plants suited to your climate. 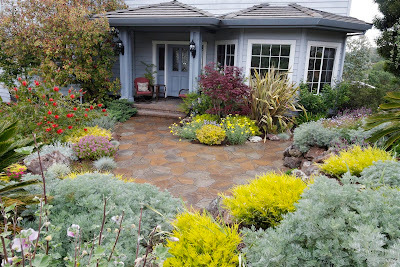 Create seasons with your plantings (especially in a place like CA where the seasons are not as distinct). Use the colors and type of plants that are available to create a new look and palette for each season. Buy varying heights, widths, and varieties. Concentrate on perennials. Perennials are an easy and inexpensive way to spruce up the outdoors - you can grab small containers for about $2.50 each. Many perennials also flower and do well in shaded areas. Remember it is OK to buy a plant for a season. Let it bloom and thrive and when it is done compost it. If plants are not a strong point for you (or you cannot grow them at this time due to weather) concentrate on elements that are not plants/living/growing in the outdoors. A non plant/floral focal point is the key. Let the plants be the backdrop not the attraction. Wood structures, water elements, iron ornaments - whatever you love helps define the space as well. and sharing his advice and wisdom! Are you ready to create your oasis? and I am so inspired to get in the yard, and enjoy every minute I can outside with the waves crashing and the birds chirping and the squirrels playing in the pines. All photos are copyright and property of Dan Berger. 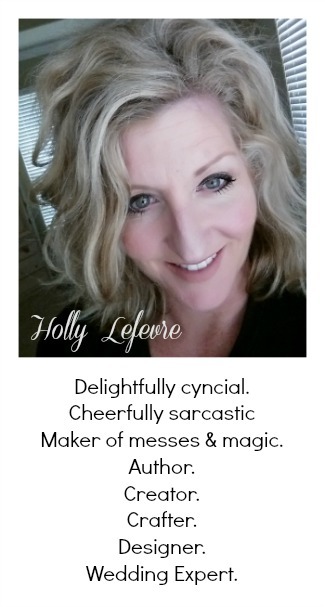 Wonderful interview Holly. Lots of great tips! 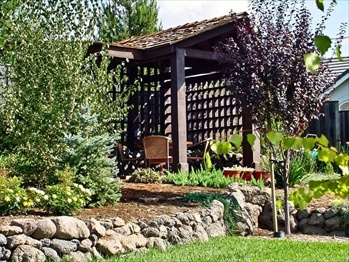 I feel inspired to add some more plants and features to my yard to create a fall oasis! Dan really knows his stuff! Those are some gorgeous pictures and some great advice. Now I want to work in my yard! Thank you for the inspiration! Wow! Heaven in a backyard! Taking notes!